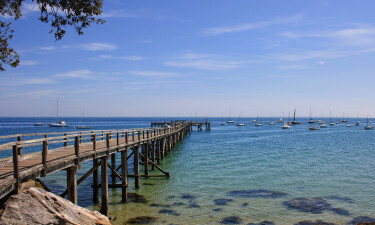 Why Should Visitors Arrange a Camping Holiday in Vendee? Nature lovers will truly be in their element when they book a bungalow tent in this part of France. 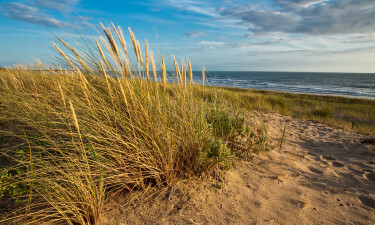 While the area’s beaches are the main highlight here, they are by no means the only attraction in the region and visitors will be able to spend their days hiking and cycling through the countryside before sampling some of Vendee’s regional speciality dishes and sipping locally produced wine in the evening. Staying in a luxury tent here is an excellent option for sun worshippers, as the site is set just fifty metres from a beautiful sandy beach. Guests will also find a large water park, while the surrounding area is just waiting to be explored by bicycle. This leading LUX-camp is a great place to play as the large children’s swimming pool features rides for the kids, while there are also three other pools for families to make use of. A beautiful beach is also just a short stroll away along a sandy path. Anyone booking a mobile home here will find themselves on one of the most luxurious camping sites in the whole of the Vendee area. 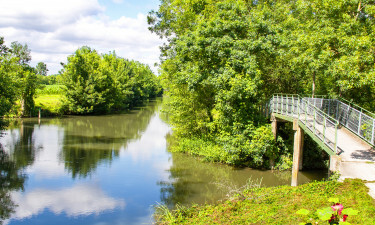 The site is nestled in the heart of a large and lovely wood and boasts a pretty fishing pond and lots of enchanting walking trails. 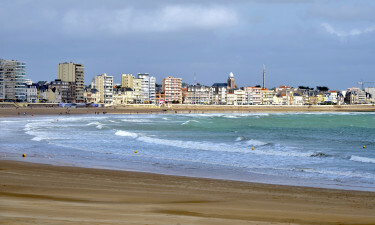 Vendee is famous for its beautiful sandy beaches, which can be found all along the west coast of the region. The coast extends for around two hundred kilometres, which means that finding a spot on the sand to soak up the sun is never a problem here. Many of these beaches have been awarded a blue flag for their pristine cleanliness and are lined by enchanting sand dunes. This region also boasts impressive pine forests with hiking trails running through them and gently flowing rivers. Lucon is the most prominent settlement in Vendee and can be found right on the coast. This was once a Roman and town and visitors will discover an impressive collection of Roman ruins as well as the pretty Jardin Dormain and Lucon Cathedral, while the city of Nante is the capital of the region and boasts a wide range of attractions for visitors to explore. Jambon mogettes is the most famous regional dish and features ham cooked with white beans, while the duck that comes from the marshes of Vendee is prized by gourmands. The region is also the largest producer of brioche in France and the area boasts its own regional variation on this popular type of bread. Most of the LUX-camps in Vendee feature their own restaurant, which means that visitors never have to venture far to enjoy these culinary treats, while wine lovers will want to take a tour of the region’s vineyards to discover how Vendee’s famous wine in produced and indulge in a few samples. This part of France is known for its pleasant weather all year round and each year there are typically three hundred or more warm sunny days. While summers are generally hot, sultry days are moderated by cool ocean breezes, while winter days are usually cool rather than cold and exploring at this time of year is also a great idea for nature lovers.